This is the write-up for heap 2 challenge for the Protostar wargame. Even if you miss the error after a first quick glance and you didn't get the "heap pointers are stale" , this should raise your eyebrows. which points at 32 bytes offset from the returned address of the malloc(). And that is it for heap 2 challenge! This time, in Format 1 challenge of Protostar wargame, we are provided with the following source code of the vulnerable program. First, we try to find at what parameter position we start reading our own input. We are told "your input string lies far up the stack :)"
Instead of a huge number of "%x", we can leverage the direct parameter access feature and use only format output. We will brute-force the position of our parameter with a simple bash script. We start reading our input at position 130. We can also tell our program to write at a provided address by using "%n"
1950 vfprintf.c: No such file or directory. With all the necessary information in our hands, crafting the exploit is easy. variable isn't that much important. It is left for the next challenge. Our goal is to change target's value into 0xdeadbeef. As the target variable is on the stack and we are writing into buffer, a stack based buffer overflow seems obvious. But this level has this restriction "This level should be done in less than 10 bytes of input." which means that we have to take a look at man printf and use the minimum field width instead. 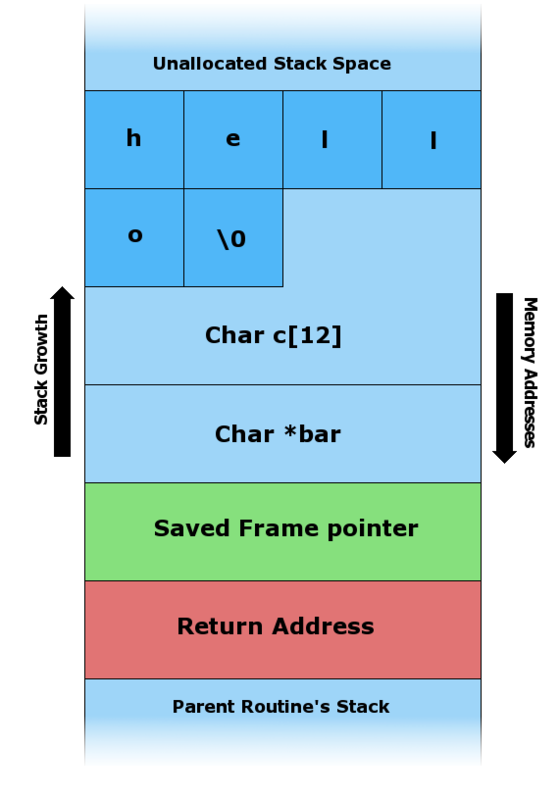 whose value should be modified to point to the win() function's memory address. variable. But this time, we have to set it up to a certain value: 0x61626364. 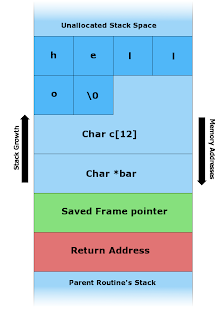 Breakpoint 1 at 0x80484a7: file stack1/stack1.c, line 18. With that said, in order to exploit this challenge, we use the value 'dcba' in our payload.